Porcelain veneers are thin wafers of porcelain, about half a millimeter thick (the thickness of a fingernail) that are bonded onto the front of teeth to create a smile makeover. Porcelain mimics tooth structure better than any other restorative material. It is harder than enamel, so it resists wear and can last for many years. 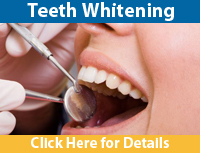 Your dentist can manipulate the color and translucency to re-create the look of any tooth. Porcelain veneers rarely discolor, unless the surface has been damaged. 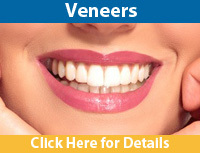 Porcelain veneers may also be used to close spaces between teeth, or to lengthen teeth. Composite fillings - Composite fillings are just what the name implies: a mixture of resins and fine particles designed to mimic the color of natural teeth. While not as strong as dental amalgam, composite fillings provide a pleasing aesthetic alternative. Sometimes composite resins need to be cemented or bonded to a tooth to allow for better adhesion. Porcelain (ceramic) - These materials are usually a combination of porcelain, glass powder, and ceramic. 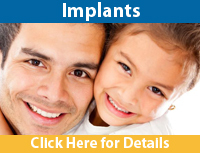 Candidates for porcelain fillings are typically crowns, veneers, onlays and inlays. Unlike ionomers, porcelain fillings are more durable, but can become fractured if exposed to prolonged biting pressures.